Test 1: Will Budget 2019 redistribute income towards the poorest 20% Test 2: Will Budget 2019 strengthen access to quality employment? Test 3: Will Budget 2019 restore and strengthen public services which are of particular importance to people on low income? 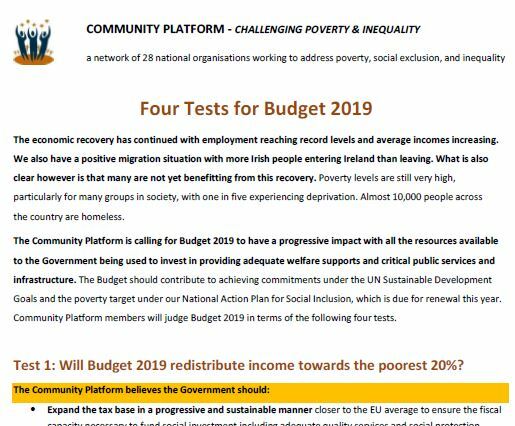 Test 4: Will the impact of Budget 2019 be assessed to ensure that all provisions reduce poverty and inequality.